HomeCasino NewsGovernment of Macau Banning Casino Employees from Gambling? 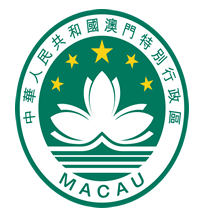 The officials of Macau made a proposition on Friday in a form of legislation that proposes barring casino workers from going into gaming facilities when they are not working, the local news reports. There is an ongoing problem of gambling among the workers in casinos which resulted in such a proposition by the government. The legislation states that not only people who come directly in contact with the games such as card dealers and workers who tend the slot machines will be banned. In fact, all the other workers whose job is not connected to the gaming floor will not be allowed to play, and this includes security, public relations workers, workers who prepare food and drinks, and even the cashiers. Outside of the working hours, no personnel will be allowed on the gaming floor. However, the legislation is not that strict and it states that there will be some special occasions when the workers will be allowed to gamble. This will be mainly during the first three days of the Lunar New Year and when some other activities are conducted such as training the new personnel. In order to make the workers realize how serious the government is in their intentions to prevent them from gambling, the penalties have been introduced to the legislative piece. The workers who do not follow the rules will be fined anywhere between MOP 1,000 and MOP 10,000 – it all depends on how big the breach of the rules is. One of the interesting rules is that if the workers are caught gambling, all of their winnings will be seized immediately by the authorities. The legislation is sent to the Macau Legislative Assembly and they are currently setting the date when the voting will take place. The officials at Macau explain how this problem has been on the rise for quite a while now. Namely, a casino report from 2016 which was conducted by Macau Central Registry System, a third of the people who wanted help in order to treat their gambling addiction problem were people who worked for the casinos. Another report from 2017 shows that 157 more people were registered into Central Registry System of Individuals as having a gambling disorder. Apart from the fact that it is 11% more than in 2016, the more interesting fact is that 10% of those people were the dealers and croupiers. The main reason why the number is so high is because many workers are convinced that they can beat the house since they have the knowledge and are experts in games. The legislation will try to lower that number down and possibly eradicate the problem of gambling addiction among the workers completely. This is a problem which was well-spotted by the government in Macau and it can possibly become a problem in other parts of the worlds.